SAN DIEGO — More upgrades are on the way at Harbor Island’s Marina Cortez, as the newly renovated 545-slip marina had its landside renovation plans unanimously approved by the San Diego Board of Port Commissioners Oct. 11. While the dock reconstruction was completed last year, the new landside plans include renovations to Marina Cortez’s main building and its support building, along with construction of a shoreline promenade that will be open to the public. Additionally, plans call for the construction of a new elevator tower. The $2.13 million improvement project entails renovating all of the buildings on the marina’s property, resurfacing the parking lot and adding new landscaping and lighting. Renovation work on the main building will include removing existing exterior architectural arches and adding new windows, a new roof and new stucco. New utility systems, such as upgraded electrical wiring and plumbing, will be required. Additionally, a new elevator will be added to comply with Americans with Disabilities Act requirements. The Port Commission also approved a new 40-year lease for Marina Cortez. 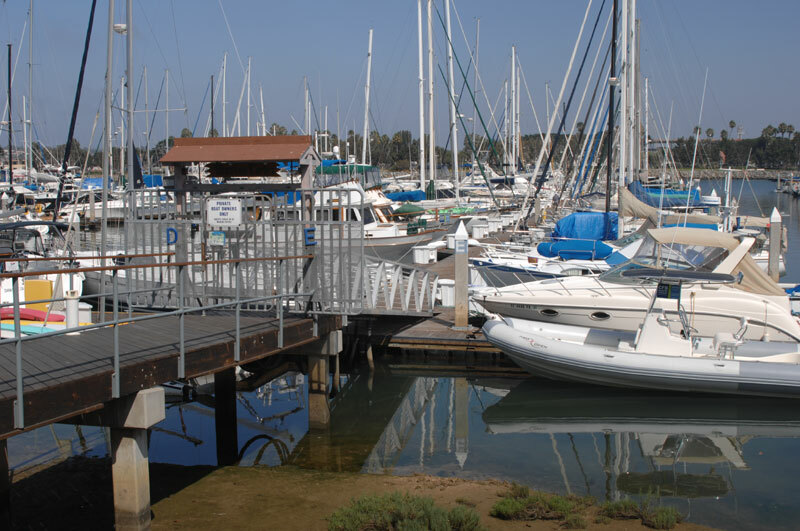 The current 50-year lease is up in March 2023, but the $7.5 million marina upgrade and the proposed landside improvements gave Marina Cortez owners the right to request an extension. The marina now has an 18-month option period, in which certain conditions must be met. Once those conditions are met, the new 40-year lease will be granted. When Marina Cortez was originally constructed in 1969, it was one of the first tenant projects on the newly developed Harbor Island. The property was built and managed by Bill Poole and Bruce Barnes, who owned Marina Cortez in a 50/50 partnership. In order to secure a new long-term lease, the partners proposed a complete redevelopment of the marina and landside improvements. On Jan. 9, 2009, the Board of Port Commissioners approved a project to rebuild the marina and install shoreline protection for the leasehold. However, both Barnes and Poole died before the new marina was completed. Ingrid Poole, widow of Bill Poole; and Becky Barnes, widow of Bruce Barnes; and their longtime friend, Carol Pagliuso, have maintained ownership of Marina Cortez, and are the successors of the Bruce Barnes and Bill Poole trust. Following Bill Poole’s death in 2009, the team finished construction of the marina. They continue to manage the property, and they submitted landside plans to complete the redevelopment of Marina Cortez. Marina Cortez is composed of 545 slips, a 12,500-square-foot main building, a 1,392-square-foot guest service building and a 316-car parking lot. Marina Cortez is located at 1880 Harbor Island Drive. For more information, call (619) 291-5985 or visit marinacortez.net.